Life is short. Diamonds are fur-ever. 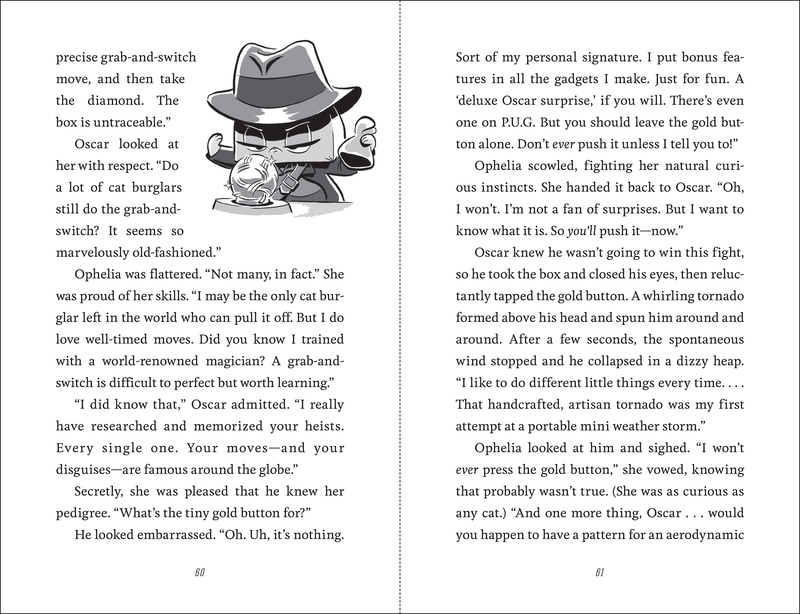 Internationally famous cat burglar Ophelia von Hairball V adores jewels­—the only thing she loves more is a challenge. She's never met a safe she couldn't crack. Now the Furry Feline Burglary Institute (FFBI) offers her the ultimate caper: steal the giant Himalayan diamond and win their top award! There's a catch! 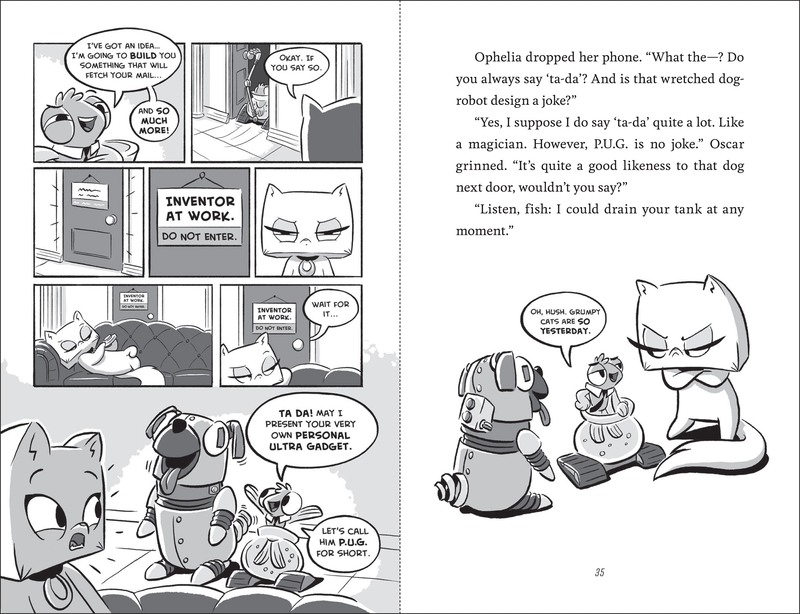 The FFBI sends an enthusiastic inventor to help Ophelia...but this cat works alone, and Oscar Fishgerald Gold smells fishy. Can the smartest, stealthiest, and snazziest of cats learn to work with a fintastic sidekick and prove she's still the world's most purr-fect burglar? 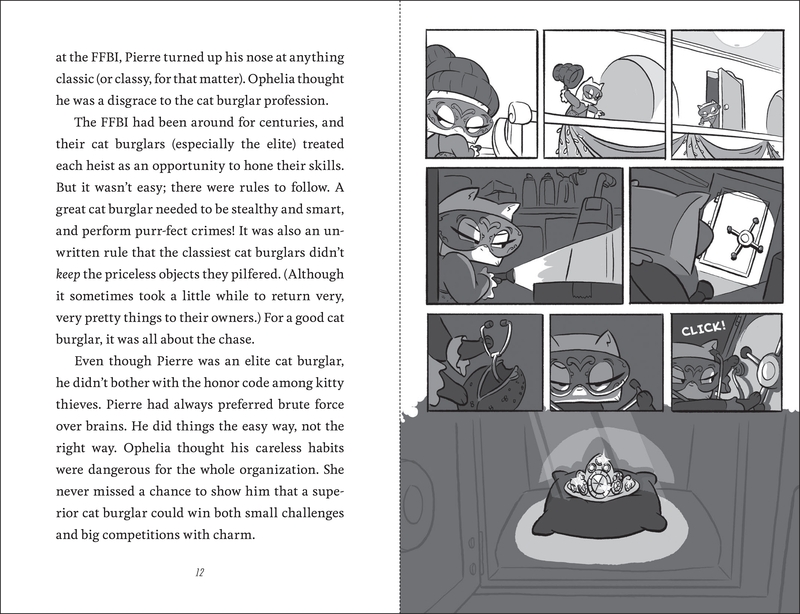 Adventure, heists, and teamwork abound in this fun, witty middle grade read brimming with cat-tastic black-and-white illustrations. Deanna Kent and Neil Hooson have worked on books, brand and marketing campaigns, and interactive experiences. Deanna loves twinkle lights, black licorice, and Edna Mode, and may be the only person on the planet who says "team work makes the dream work" without a hint of sarcasm. Neil is king of Les Paul guitar, makes killer enchiladas, and really wants aliens to land in his backyard. By far, their greatest creative challenge is raising four (very busy, very amazing) boys. 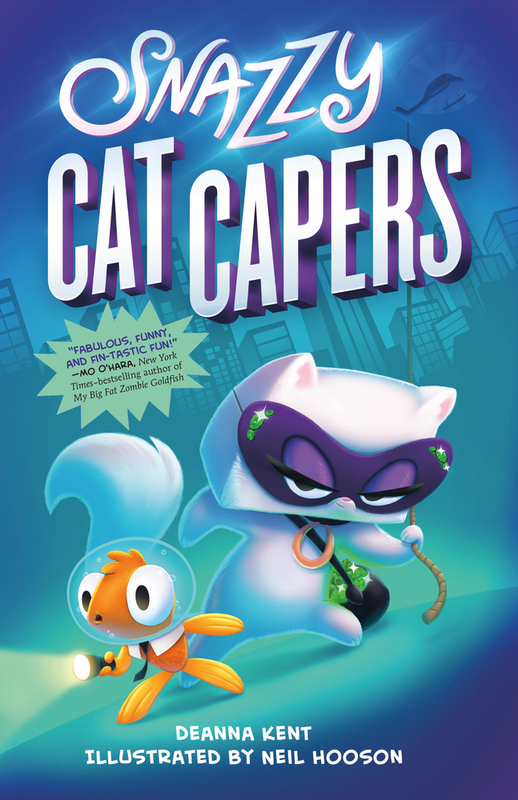 Snazzy Cat Capers is their first chapter book series.